One of the long-awaited promises of PDAs has finally been delivered on for boaters. 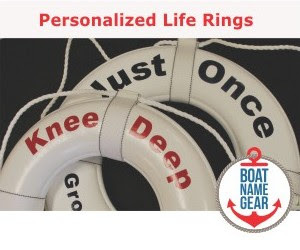 A recently released iPhone app looks like it really will make boaters' lives easier, and perhaps even help them be better boaters. Boating Suite, which is actually an integrated collection of six apps in one, keeps track of data that you used to write in log books and on paper notepads, or that you would simply try to remember without writing it down at all. 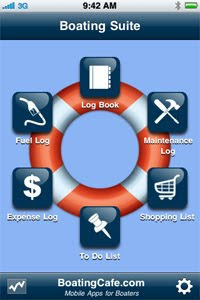 With Boating Suite you have access to all of the following tools through a single intuitive interface: Trip Log, Fuel Log, Maintenance Log, Expense Log, To Do List, Shopping List and Reports. Imagine glancing at your iPhone and knowing your boat's fuel efficiency on your last trip, or even the total cost of ownership for your boat - taking into account expenses you might not normally track such as maintenance, fuel and accessories. On second thought, maybe we don't want to see that feature! The complete app sells for $4.99 and works on both the iPhone and the iPod Touch. 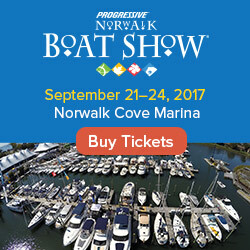 To learn more about this app, visit the Boating Suite website (boatingcafe.com) or see the product on iTunes. If you use this app or something like it, please tell us about it via our comments section, or on Facebook or Twitter. That's cool and not much of a surprise of an app for boating. However, what happens when the IPhone gets wet? It's always good to have non-electronic back up versions of the important stuff.